I started discussion in the Mpp thread originally, which included measurements, theory, discussion and even reviews from Joachim and one of his friends. Note: the schematics in the Mpp thread are pretty but few of them have been built and tested, and they are old versions - see the Kuartlotron webpage instead. I build the circuit very close to the schematic on the new page. I do not have the offset trim but my build did not have much problems with DC. The sound i get is wounderful and no exotic Fets are needed. Earlier versions of the buffer sounded very good too but i missed a little focus and " height " information. That was with BC327-40 and BC337-40 that i usually prefer over BC550/560. In this buffer though the BC550/60 give a more snappy sound. This little wounder can be build on a weekend more or less from parts in the waistbin. Can it be modified to be powered by a 0 to +20V PSU ? and I agree its more than worth it to follow up this aproach and inquire further to where your design will lead us to sonically. We had more precission in the criteria Joachim called "Focus"
with one of the other buffers then..
criterias in most of the setups these days. eg : dynamic informations when far away are also very clear and " formed " well belonging to the instrument even at pianissimo. many with very good chassis to listen to. 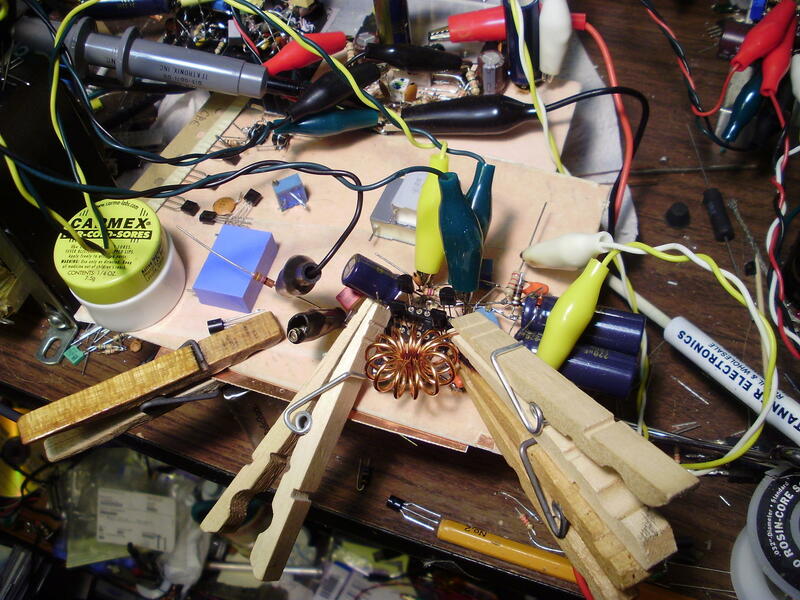 I'm not sure whether it actually sounds better with a toroidal coil, but any 2u inductor will do really. I haven't experimented with many different coils. You can also wind a 2uH air coil by hand. For single-rail use, do this. This version has 110k input impedance. Use 22k instead of 220k for R8/R12 for 11k input impedance, but you'll probably want a larger input cap.